We Pack musical Instrument in Cardboard Box with bubble sheet. The sitar is a plucked stringed instrument predominantly used in Hindustani classical music, where it has been ubiquitous since the Middle Ages. Artists such as Ravi Shankar have popularized this instrument around the world. It derives its resonance from sympathetic strings, a long hollow neck and a gourd resonating chamber. Note: Scratches or small dent may appear on Fiber Box is transit time. Designing work on Sitar may be slightly different from the displayed images. 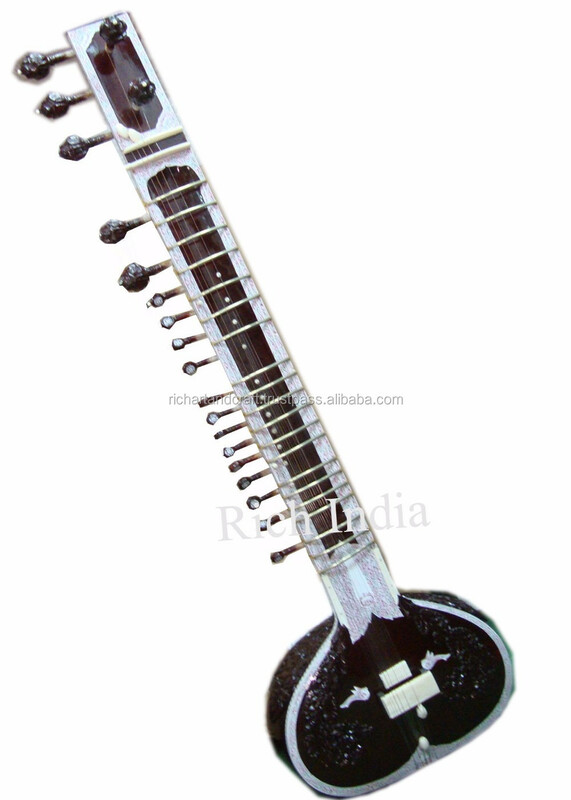 SITAR = 3 to 4 KG.